Newburyport: Jeff Gower, left, and Jeff Gallardo, both of Westford try for striped bass, bluefish or what Gower says, "Anything we can catch." 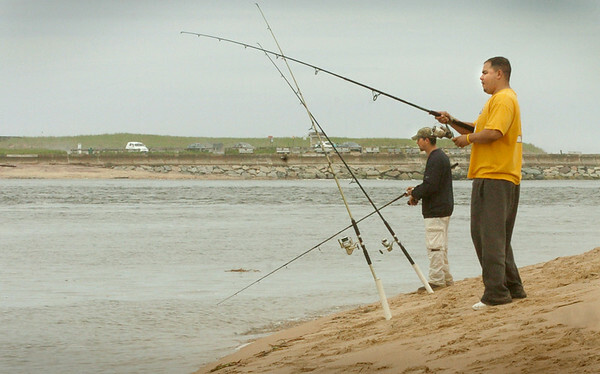 They were fishing the Merrimack River at the northern end of Plum Island yesterday afternoon. Bryan Eaton/Staff Photo Newburyport News Friday May 29, 2009.